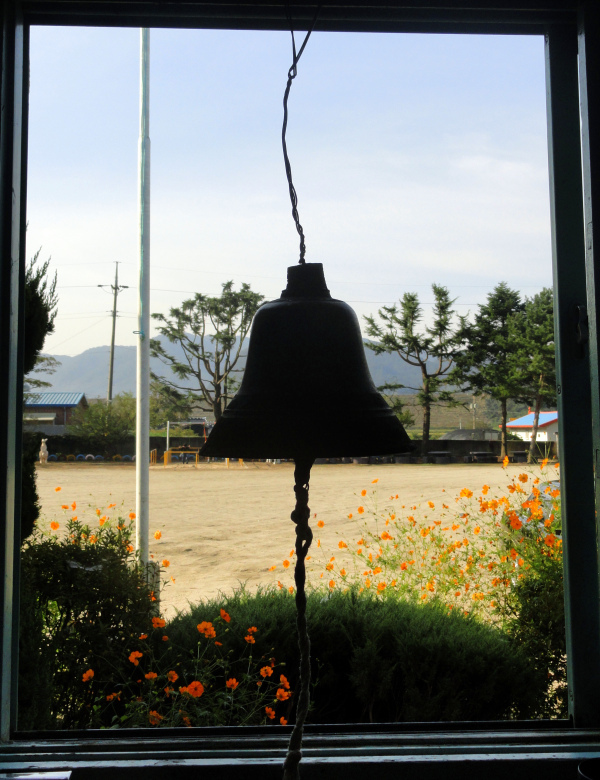 We wait in silence for the bell. Jordan on the floor propped against our mother’s bed so he won’t accidently see her. He closed her eyes; he obviously doesn’t want her looking at him either. He’s flicking the hole in the knee of his trews. I don’t say, stop it. I’d sound too much like her. I’m on the stool we put beside her bed when she became feverish. I can’t look away. Her skin is as waxy as a candle. I try to hold my tears so she’ll burn quicker when they light her. We wait for the rumble of the cart. And the bell. This entry was posted in Short stories and tagged flash fiction, Friday Fictioneers, plague, short stories. Bookmark the permalink. I had to read this a number of times and was still uncertain what she had that she would be burned, then I saw the mention of plague in your tags. But I felt the horror the entire time. Thanks for taking the time to read my story over again, Janet. I’m glad you felt the horror of it. Powerful stuff. A real sense of setting. Nice work. I appreciate your kind comment, Mr Binks. Yes, the sound of the cart and the bell calling for the dead must have been horrendous. Thanks for visiting, Atreyee. “The rumble of the cart”. Powerful imagery! Sound seemed to be such an important part of this prompt for me. Probably because as soon as we read about bells the first thing we think of is the sound. Thanks for your comment, Dawn. Karen, this is gorgeous! I love the line: ” I try to hold my tears so she’ll burn quicker when they light her.” So powerful! I could feel this room, and the kids sitting beside their mother. Bravo! I wanted to get across the irrationality of grief with that line so I’m thrilled by your comment, Dawn. Thank you so much. This was one of my favorite stories this week, Karen. So real, and raw, and beautiful! a great story. i felt every word. I’m really pleased you were touched by my story. Thanks for your comment. Excellent, by far my favourite story this week. Wow, that’s a lovely compliment. I’m glad you enjoyed my story. Oh, the bell and the cart. Ominous sounds of sadness. Well done. Thanks for that confirming comment, Jan.
Wow. That packs a real punch. Really well done! Thanks, Joanna. I really appreciate your comment. i had goosebumps. sad and terrifying at the same time. That was raw – and I can certainly identify with the not wanting to look at a loved one that has just died. I never understood until I witnessed it myself, that their spirit really does leave (or what we see as the ‘them’ part of their physical being), and it is just a haunting shell that has left. You captured that very well. A story with powerful images that take us back to a sad time. It sounds as though their father had possibly died before since the children had to wait with their mother’s body. Yes, it does seem as though their father had died before. It’s great when readers see a world for the characters outside the story. Thanks, Patricia. What a horror that must of been. But then that’s how the Vikings rid themselves of their dead. Yes, it must have been a horrendous time. We were in Norway at the end of last year and became fascinated by the history of the Vikings and their customs. What a horrible time that must have been. You captured it well and allowed us to experience the personal pain of those involved. Well done, Karen. Thanks, Russell. I agree it’s the personal pain of the individuals that brings the horror of the atrocities alive. Not just in the past but in the present too. Raw and powerful. You captured the time and feel with skillful brevity. Bravo! This was a graphic insight into the era of the plague, the cart and the bell, you have written it very cleverly, the imagery clearly depicting the horror of that era. Well done Karen. Heartfelt thanks for your kind comment, Michael. Powerful writing. You created the scene so well I could feel the sorrow. Well done. Thank you for reading and for your kind comment, Zainab. A sadly little vignette. I could see everything so clearly. I’m thrilled by your comment, Marie Gail. Thank you. A very touching story. I can feel the children’s sadness! Thanks very much for reading and for your comment, Riya.